With our new addition arriving in January (or December, ack!) we needed to find a bigger home. Currently, our 1600sq ft 3 bedroom works perfectly for our family. The basement is developed for a tv room and my office, and we feel like we have plenty of space for the 4 of us. But 5? That’s a whole new ballgame. We started looking in May, casually at first but getting more and more interested in building a new home. We looked near us at Rock Lake Estates, but none of the lots super appealed to us at first glance. 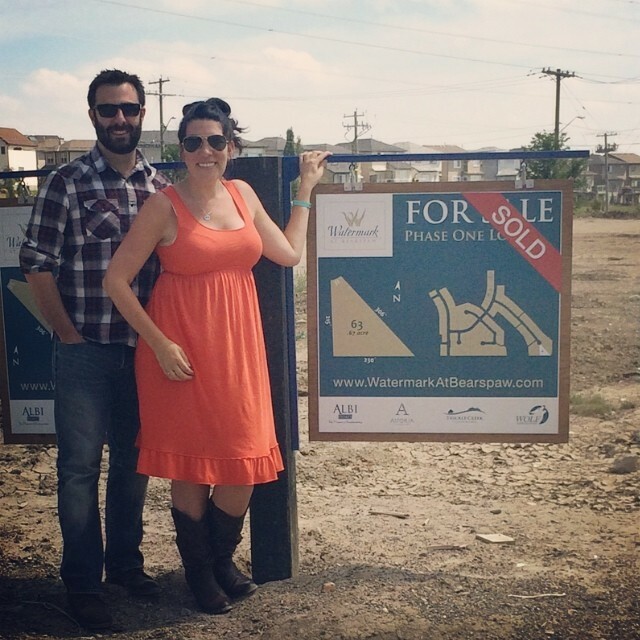 While we were looking at a specific builder, we took a drive over to Watermark in Bearspaw, Only a 7 minute drive from our current home in Royal Oak, Watermark had a ton of features we loved – nice lot sizes, enough space between homes, and a really nice community feel. Staying in the NW of Calgary was important to us, so we were happy with the area – even though not technically in Calgary anymore. We then had to decide which builder to use. We decided on Astoria Custom Homes because we absolutely loved their Austin show home. 4 bedrooms and tons of space, the house has a nice open floor plan and everyone is really excited about their rooms and all the extra space we are getting! The tough part was finding a lot we liked – and that fit the house. The house has a fairly big footprint, and some of the lots we liked weren’t sized right for that specific home. We finally decided on the lot, signed the papers and put our deposit down in July. It was both a WHEW and a YIKES moment all at once! Since July we’ve had some ups and downs with building, which I’m hoping to document here for anyone interested in hearing about our building experience. We’ve had three solid weeks of meetings in the past month just picking tiles, hardwood, counters, etc. It’s been fun, scary and overwhelming at times. We’ve been working with interior designer Rochelle Cote who is just AMAZING. She understood our style and what we are going for and has helped immensely with pulling it all together. I kind of want her to just help me with my everyday life now, lol! The foundation is supposed to be poured this week so hopefully I have an exciting update soon! In the meantime, I hope to blog more about our interior selections and decision-making process. 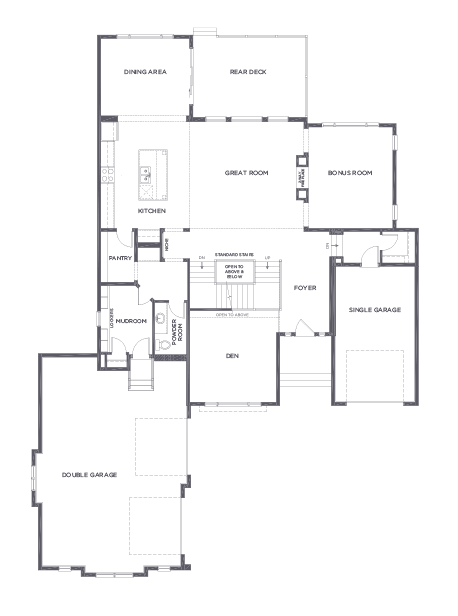 Christina - Looks like an amazing floor plan and home. It is going to be beautiful! I had to laugh at your comment about house size though because we are a family of 6 (4 kids 6 and under) and we live in a 1300 sq foot home.